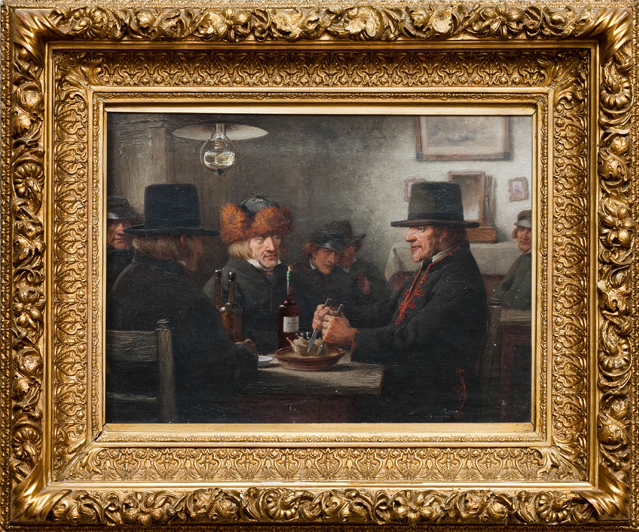 There is a rich and diverse exhibition in the manor house of the Sagadi manorial estate. You can experience the joy of discovery on two of the manor house’s floors. 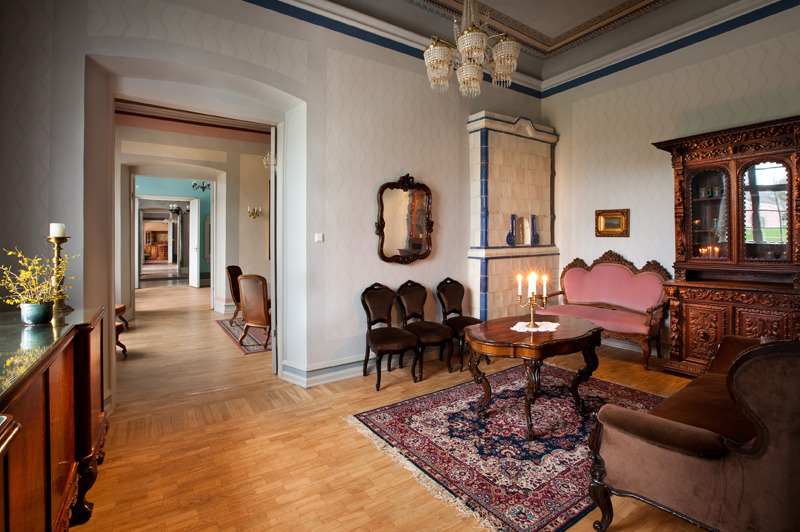 The rooms of Sagadi manor house are mostly furnished with beautiful 19th century manor-style furniture collected from all over Estonia. Many of the objects are originally from Toompea Castle. The furniture on display is mainly representative of the Biedermeier and neo-Rococo styles, although there are also various objects in the Empire and Historicism styles. Only the children’s room has been furnished with objects that were originally from Sagadi manor house, namely the sofa set from the main hall, which dates back to the 1910s. Items probably acquired by Paul Aleksander Eduard von Fock on his travels to China and Japan, such as a tea service, a set of small decorative jasper objects, and a samurai suit in all its glory give us an idea of the lust for adventure of the barons who lived here. 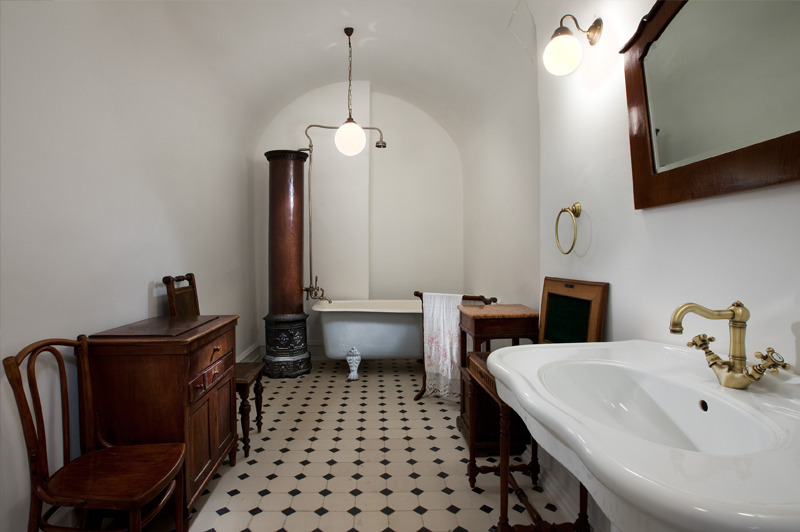 Dating back to the beginning of the 20th century, the original bath with a furnace for heating the water stretches across the bathroom next to the master bedroom. Two of Johann Friedrich Seupel’s original paintings in the Dutch style hang on the side walls of the main hall: “The Cat and the Dog Quarrelling” from 1786 and “Fowl in the Manor House Park” from the 1780s.The guestrooms feature landscapes painted by Oscar Hoffmann in the 19th century and artworks depicting Estonian peasants. The ceilings of eight of the manor house’s rooms are decorated with paintings that date back to the 19th century. The most noteworthy of these ceiling paintings are located in the main hall, the blue salon, and the grotto. A trophy room has been opened in the manor house’s former kitchen. In addition to impressive hunting trophies, it contains a unique exhibition of Sven Lord’s collection of hunting weapons, reflecting their development over the course of the past 250 years. The exhibition is complemented by the set of furniture made of fallow deer antlers in Germany in 1870. 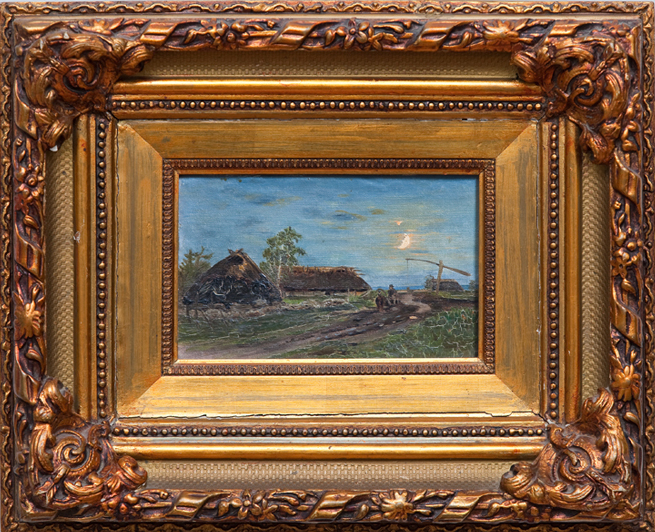 The attic contains unrestored furniture mainly from the beginning of the 20th century, including objects produced at A. M. Luther's factory and A. Umberg’s workshop. The seminar room, fitted with original furniture from the Riigikogu (the Estonian Parliament), is a specific point of interest. There is a giant mirror located in the servants’ hallway. It is one of the largest mirrors on display in any of Estonia's manor houses today. There are two majestic chimney mantles that pass through the manor house’s two floors.If you're lucky, you can catch a glimpse of the chimney elf in the western chimney in December!